The vacant, 16,609 square metre site is diagonally opposite a large commercial site that Knight Frank recently sold to the shopping centre’s owner, Scentre Group, for $16 million. Located at 25–39 Lake Street, the property is situated in the City Centre precinct of Cannington and zoned “City Centre Deferred”. Knight Frank managing director John Corbett said the property had significant potential to be developed for a range of uses from retail to residential or commercial. He said the design guidelines for the area allowed for up to five levels of height. 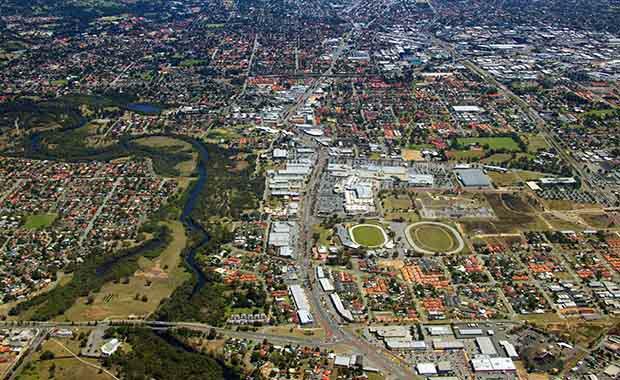 “This is a very large and well located site with unrivalled transport accessibility, great profile and neighbouring one of Western Australia’s most successful regional shopping centres,” Mr Corbett said. “It is just 12 kilometres from the Perth CBD straight down Albany Highway and just a few hundred metres from Cannington train station. Mr Corbett said the property was surrounded by various retail, commercial, residential and community buildings and provided easy access to nearby parks and public open spaces. The property allowed development of high density housing at an affordable price point. However he said it was the close proximity to WA’s largest shopping centre and Cannington Train Station that had the most significant appeal. The property at 25-39 Lake Street in Cannington consists of four separate lots. It will be sold by Offers top Purchase closing on December 17, 2014.